Long considered the apotheosis of rustic kitsch, the log house actually has a rich architectural pedigree. Since the late 19th century, a surprising number of architects, along with their artisan-builder counterparts, have transformed the simple pioneer log cabin into a supremely crafted work of high art. 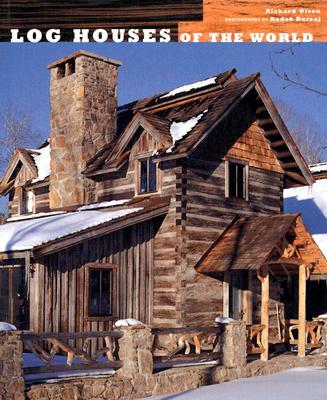 "Log Houses of the World" is the first-ever chronological survey of the greatest examples of log houses designed in Europe and the United States. Included are photographs, plans, and little-known drawings -- most never before published -- from such celebrated Modern-era architects as Eliel Saarinen, Adolf Loos, Le Corbusier, Richard Neutra, and others. The result is both a remarkable tour of some superbly crafted homes, and an important vehicle for garnering for these houses the popular recognition, critical and otherwise, that they deserve.